Across England, it is estimated that 80% of private apartments and 8.2% of private houses are occupied on a leasehold basis, that’s just over 4 million properties. 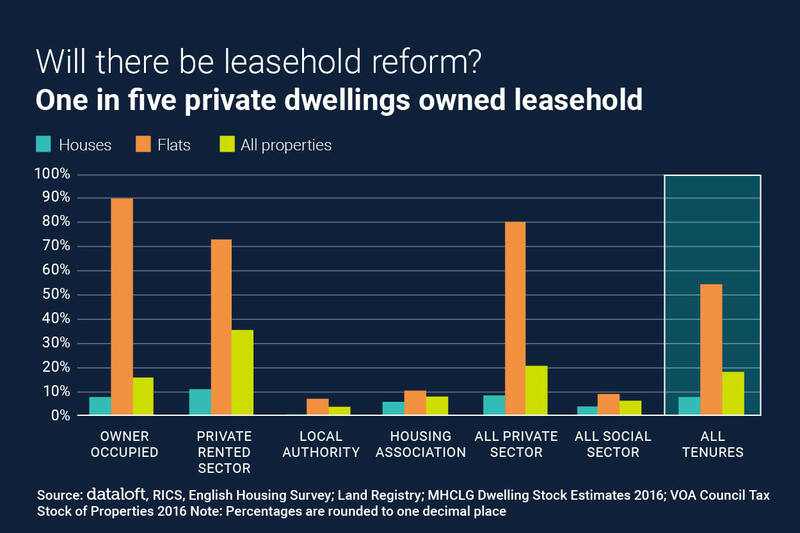 Over 94% of all leasehold properties in England are in the private sector. On an annual basis, close to one quarter of all residential transactions are of leasehold properties, and 42% of all new build purchases. The House of Commons committee on leasehold reform published their report into the practice earlier this month. They recommend the abolition of the current leasehold system and advocate the shift to commonhold ownership. Introduced in 2002, commonhold ownership allows a person to own a freehold flat and at the same time be a member of the company that owns and manages the shared areas and structures of a building. The committee also recommends a lid on ground rent of £250 per annum (with no future link to RPI) and is in favour of the introduction of a standardized key features document, to be provided at the start of the sales process to any prospective purchasers.